Wine dates back to the origin of civilisation. The first known grape cultivar grown by humans was Vitis vinifera sylvestris. The first region where this plant grew wildly was the south of the Caucasian sea, near the Black Sea (in today´s Georgia and Turkey). Old civilizations grew their vineyards and made wine. For the Egyptians, wine was a drink reserved only to the elites (beer was the drink for slaves) and this symbol of status was reflected in their paintings of Ra, whose sweat was represented as wine. The Hammurabi code in Babylon has rules for wine making and wine commerce. Greeks were the biggest promoters of grape growing. During this period, the first- deliberate practice of viticulture can be found. Dionysos was their God of Wine and Ariadna was the Goddess of the Spring; was represented as the re-birth of vineyards during the spring. 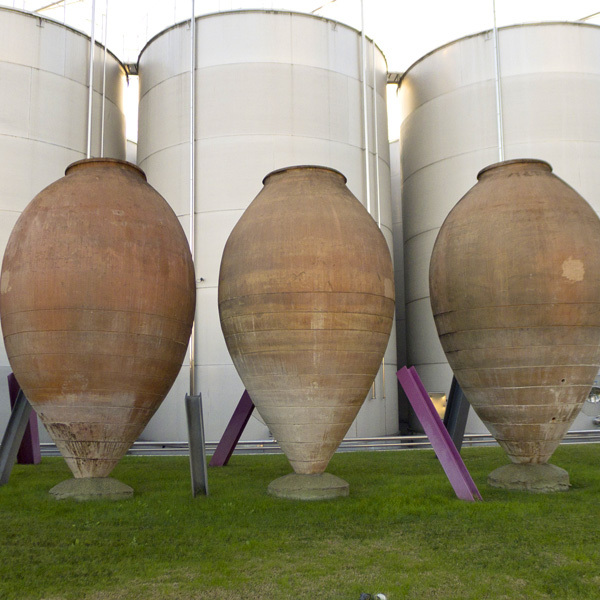 Romans continued the Greek tradition of grape growing and wine making. Wine was an essential drink in their diet and a symbol of social status. Emperors enjoyed wines and they organized the “Bacchanals” where fun around wine was assured. The Middle Ages established a new relationship between wine and religion, with wine symbolising Christ´s blood and only monasteries making wine. Wine was the popular drink and routes of pilgrimages extended its consumption, however this wine was a low alcohol drink, sweet and slightly fizzy. When it went bad, it was mixed with other liquors. In the 16th century, white wines were the most popular, while in the 17th century; “claretes” (rosés made of mixing red and white wines) had the greatest following, it being the only drink that could be stored. During the Renaissance, the glass bottle improved the prestige of wine and introduced the idea of a wine having aesthetic qualities. Wines started being classified by their vintages. Wine was again, as in Egyptian times, a sign of an elite status.